In a past Spec-sheet brawl, we compared the new Volkswagen Santana to its fiercest rival: the best-selling Toyota Vios. For this fight, we're once again comparing the Santana to its other segment competitors. It may be the era of the midsize SUV, but the subcompact segment is still a hotly contested category. 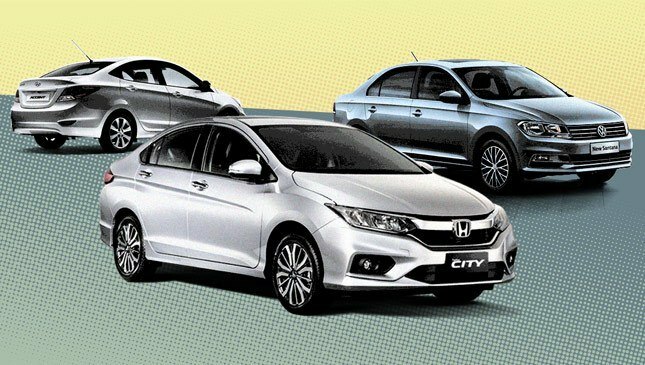 The Honda City and Hyundai Accent are among the most popular choices in the subcompact market. Here we've matched up the variants that best stack up against the Santana. All three are manuals, all are front-wheel drive, and all of them have small engines. Which small car takes it? Let us know your pick in the comments.